Stay Cool as the Summer Heats Up! As a guest at Bay View Resort, you have easy access to beautiful oceanfront views and sunset nights. You can spend your day splashing around in the indoor pool or lazy river or enjoy a chapter of your favorite book on the beach. After a day filled with fun relaxing moments, we have some great plans for you to make sure to include in your next Myrtle Beach vacation. * June 1-3, The 63rd Annual Sun Fun Festival: Just outside the Bay View Resort and down the Myrtle Beach Boardwalk, the downtown district comes alive with music, parades, and events along the Myrtle Beach Boardwalk and Ocean Boulevard. Beach music plays each day and night with headliners like Jim Quick & Coastline and the Swingin' Medallions, and the Sun Fun Parade on Saturday is the highlight of the event. For more info, visit http://www.sunfunmb.com. * The Fourth of July: America's birthday is the reason for the biggest celebration of the year and the peak of the summer tourist season. Festivities are held throughout the 60-mile stretch of coastline known as the Grand Strand, including a traditional street parade in Pawleys Island, a patriotic boat parade in Murrells Inlet, and fireworks shows at Broadway at the Beach, Barefoot Landing, the Myrtle Beach Boardwalk and Murrells Inlet Marsh Walk. Every summer it's a blast! * July 14, The Bud Light Getaway Concert Series: This nationally touring concert series makes its debut in Myrtle Beach this summer at Pavilion Park in the heart of the downtown district. The show features popular acts like Sam Hunt and Dashboard Confessional for a diverse lineup that offers something for everyone. 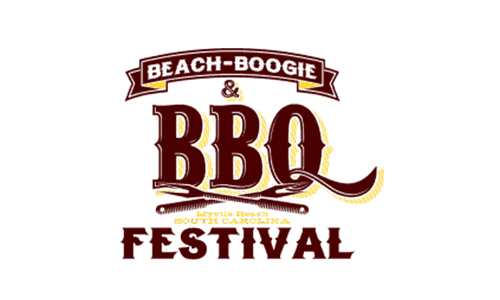 * Aug. 31-Sept 1, Beach Boogie & BBQ Festival: Send the summer out with a bang at this popular Labor Day weekend event. The name says it all as the two-day party features live music and dancing, as well as some of the top champion cook-off teams in the country compete while serving up samples of their best barbecue at The Market Common. Bring a blanket and an appetite. * Recurring Festivals: The above-listed events make up a nice top-five list of fun summer festivals, the fact is there's always a good party going on in Myrtle Beach during the summer months. The Hot Summer Nights Festival on the Myrtle Beach Boardwalk has something going on every night of the week, and the Summer Nights at Broadway (at the Beach) also offer nightly music and entertainment. Those two venues also host free weekly fireworks shows, as does Barefoot Landing in North Myrtle Beach. Best of all, each of them is free of charge. You will want to also check out the fireworks at Broadway at the Beach! There is so much to do to keep your summer memories going. After a fun-filled evening of excitement, head back to Bay View Resort and get a good nights rest, because tomorrow, there is so much more to celebrate.